we congratulate! On 2 July the publisher, church musician and educator Günter Graulich celebrated his 90th birthday. We present an appreciation of his achievements, showing which editions he has published at Carus. 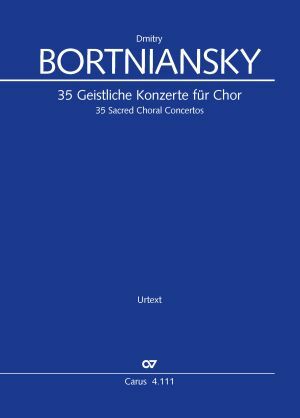 And this month we also have a range of new releases for you, including a new collection of Sacred Concertos by Dmitry Bortniansky and two new works in our practice CD series Carus Choir Coach. 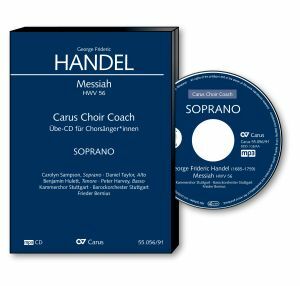 Releases in Carus Choir Coach include Handel's Messiah and Mendelssohn's Psalm 42 Wie der Hirsch schreit (Like as the hart longs). 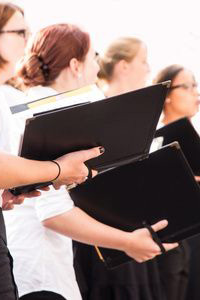 The Carus Choir Coach offers choir singers the unique opportunity to study and learn their own, individual choral parts within the context of the sound of the entire choir and orchestra. Günter Graulich celebrated his 90th birthday! On 2 July the publisher, church musician and educator Günter Graulich celebrated his 90th birthday. 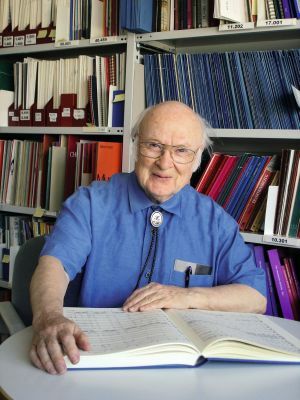 With a background as a practicing musician, as a publisher Graulich has edited many important scholarly-critical editions himself – often with far-reaching consequences, if we take, for example, his edition of Rheinberger's Abendlied or the first critical edition of Vivaldi's Gloria. We would like to introduce some of his own editions to you >> here. His thirty-five choral concertos for four voices were first published together already in the early nineteenth century, however then they were published with only a Cyrillic text. What distinguishes the present edition is the addition, for the first time, of a German text in a clearly understandable transliteration. Separate editions and pronouncing aids are available. We would like to draw your attention to a survey for choral directors which is being run by the the Professor of Musicology at the Catholic University of Eichstätt. The aim of the study is to learn more about the use of digital products in choral music. 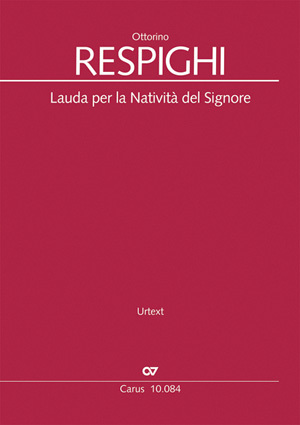 In 1930 Ottorino Respighi composed the christmas cantata Lauda per la Natività del Signore, the only sacred choral piece among his works. 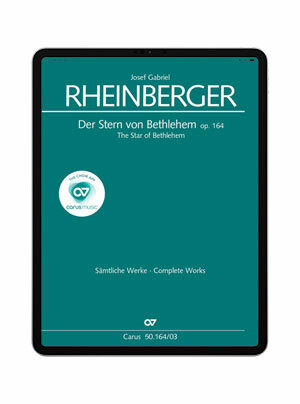 In this song of praise to the miracle of Christmas majestic sounding choral passages alternate with the soloistic roles of Maria, the Angel and the shepherd, accompanied by the sound of pastoral instruments. Browse through our latest Christmas catalog! 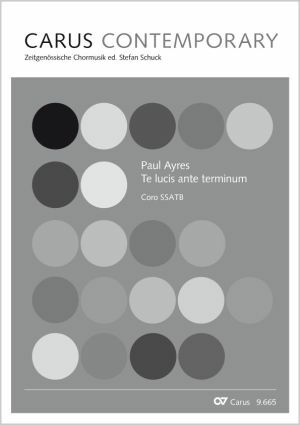 Two new choral works for Christmas time by Paul Ayres make an excellent addition to our publishing programme: the hymn Te lucis ante terminum for five-part choir and Deilig er den himmel blå for eight-part mixed choir in two choirs (female and male choir). The works are excellent to sing, and demonstrate Ayres' enjoyment of colorful choral textures. Another new release is Cool-Jae Huh's Missa Arirang. 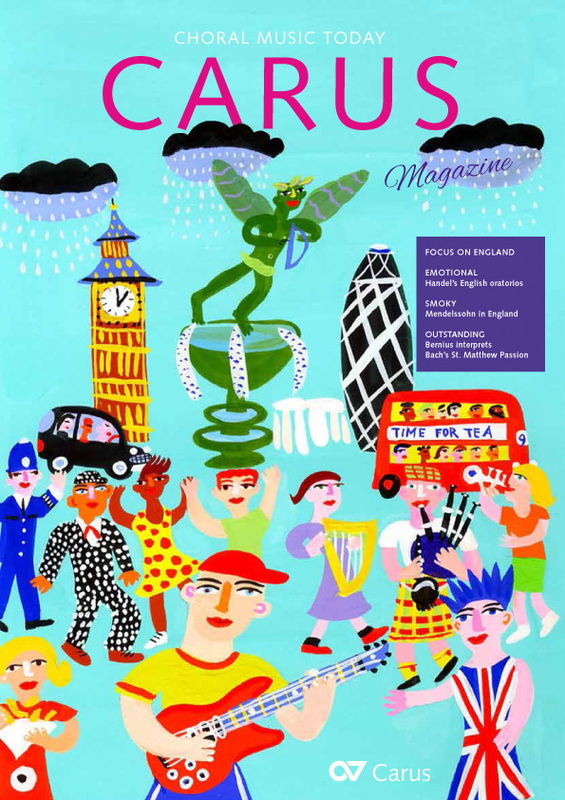 Hot off the press is the CARUS Magazine 1/2016, featuring several topics to do with choral music, including an article on Handel's oratorios in England, a piece on the Monteverdi anniversary in 2017, an interview with Frieder Bernius and Klaus Hofmann on Bach's St Matthew Passion, and of course an overview of all new publications for spring 2016. Four new works have just been released this month in carus music, the choir app: the Missa brevis St. Joannis de Deo (Little Organ Mass) and Missa Sancti Nicolai by Joseph Haydn, Handel's Dixit Dominus, and Josef Gabriel Rheinberger's Der Stern von Bethlehem.